Opened in 1919 on Chicago’s South Side, the Vendome Theater was the premier African-American theater in the city prior to the Regal Theater opening nearly a decade later. It was built in the style of the French Renaissance for the O.C. Hammond circuit made up of several smaller theaters scattered over the South Side of Chicago, including the Elba Theater, Fountain Theater and Pickford Theater. The Vendome Theater could seat over 1,250 in its auditorium, amidst marble, gilded plasterwork, crystal chandeliers and frescoes on its walls. It had the largest stage of any theater on Chicago’s South Side until the Regal Theater opened. The price tag of the Vendome Theater was reportedly over a quarter million dollars. A $10,000 pipe organ was installed and the theater would have a 10-piece house orchestra. 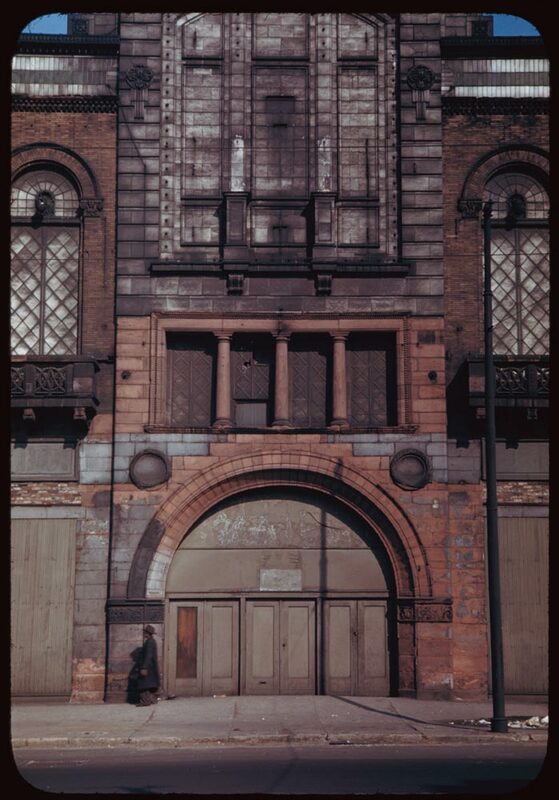 The Hammond family wanted to allow African-Americans the chance to experience the feeling of being transported to another place and time that movie theaters gave whites who patronized the Loop and North Side palaces, but which blacks had limited or no access to in those days. Chicago’s leading African-American paper, the Defender, praised the Vendome Theater in an opening day article, stating that "all its employess will be folks of Color" and "the new theater will mean much to the folks of this district." Almost as soon as it opened, the Vendome Theater became the most popular destination for African-Americans to see first-run films, elaborate stage revues, and performances by the biggest names in jazz in the country. The Vendome Theater was also one of the only theaters in Chicago which screened so-called "race pictures", films made by black directors, with black casts, addressing primarily black issues. At the same time, the Vendome Theater also featured films highlighting the accomplishments of black soldiers who had fought in WWI. These films would be a staple on the Vendome Theater’s screen through the 1920’s. The leader of the Vendome Orchestra, Erskine Tate, had originally been at an older Hammond theater, the Phoenix Theater, but was brought to the Vendome Theater in 1920. Under Tate’s celebrated leadership, the Vendome’s orchestra hired several promising young artists, including Louis Armstrong, who played there until 1926. During the 1920’s and into the 1930’s, the Vendome Theater was almost as popular for its orchestra as its films, and had packed houses. However, by the early-1930’s, the Vendome Theater began to slowly decline. Tate and his orchestra moved to the Metropolitan Theater in 1929, and the opening of the Regal Theater in 1928 which was far larger and grandiose, began to pull patrons away. The Regal Theater would follow the Vendome Theater’s example of first-run features, live stage shows and especially A-list jazz stars appearing on stage. The Vendome Theater was closed in the late-1930’s, and the vacant theater was demolished in 1949. Here is a photo of the Vendome shortly prior to its demolition. Wow. As usual, thanks again guys. Here’s another one I never knew about. Looks like the exterior had a tough go of it for being only 30 years old. That 3 columned, balcony like inset is reminiscent of the old Lexington/New Michigan Hotel facade. Wonder if those X panels were ones that once opened. One of our past presidents supposedly once spoke from the one at the Lexington. Another one that along with this theater, if it could have hung on, would have made an awesome renovation. Check out LOEWS VENDOME Nashville,Tennessee.